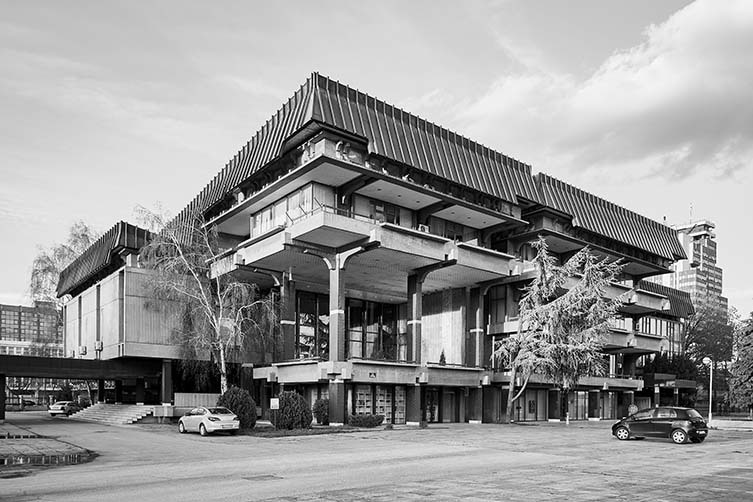 Largely rebuilt after a devastating earthquake in 1963, Skopje—the Republic of Macedonia’s capital and largest city—became home to one of the most potent architectural movements of the 20th century, Pritzker Prize-winning Japanese architect Kenzō Tange leading a team of international design talent toward the city’s monumental redevelopment; a statement of modernist intent. 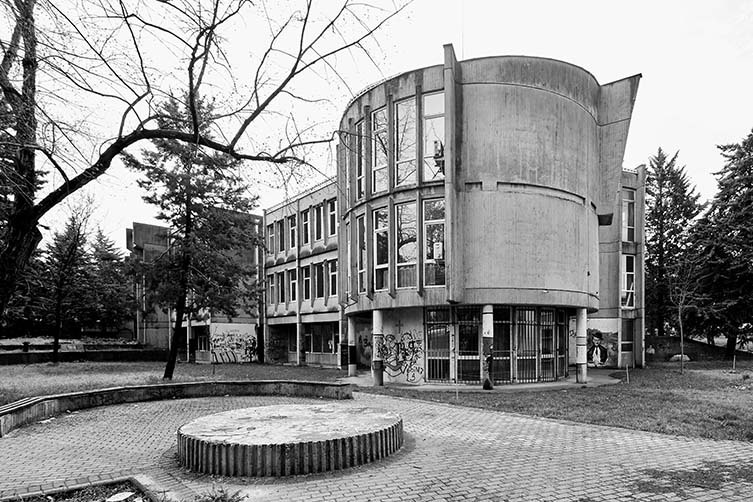 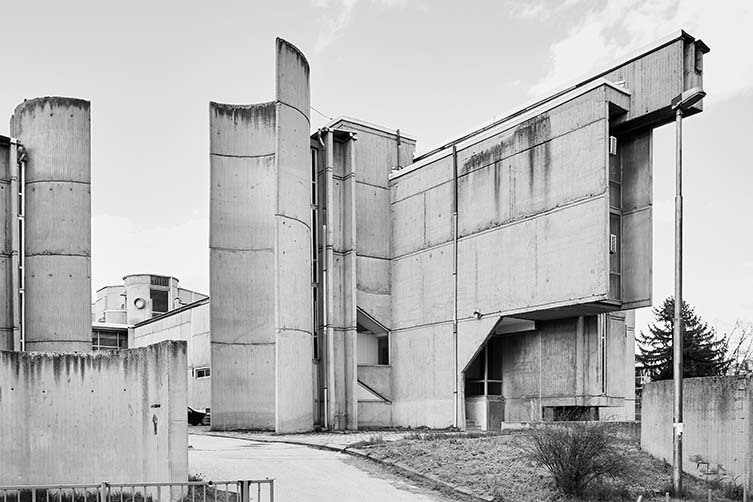 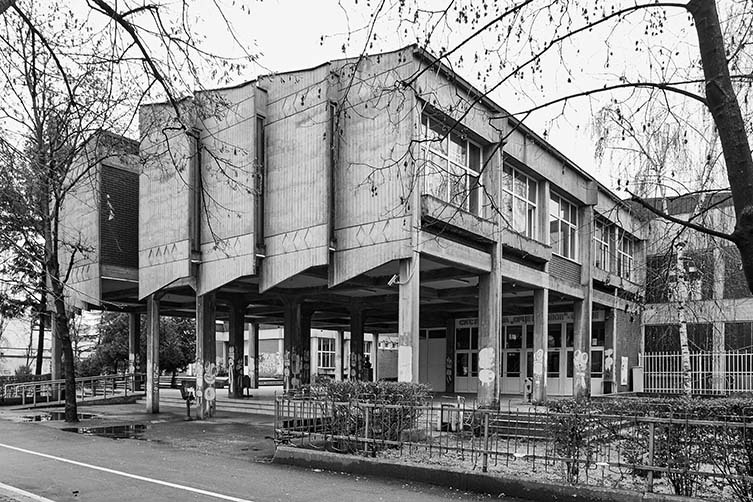 At this point a city of the Socialist Federal Republic of Yugoslavia, Skopje would become the first place that Tange would introduce his Metabolist movement—fusing ideas about architectural megastructures with those around organic biological growth—with a master plan that spawned inspired buildings such as Janko Konstantinov’s Telecommunications Center, Nikola Karev Secondary School, Panche Karagjozov Medial School, and Marko Mušič ‘s Saints Cyril and Methodius University of Skopje. 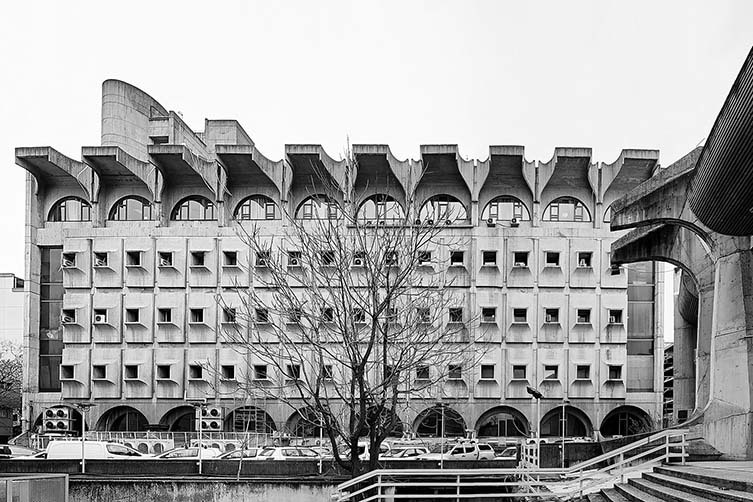 Editing the publication—the latest in Blue Crow Media‘s ongoing series of architecture maps—alongside Ana Ivanovska Deskova, Vladimir Deskov, and Jovan Ivanovski, Slavković has seen a dubious rise of neo-classical nationalist architecture and ultra kitsch gold-trimmed facades in the past decade, and hopes this document will aid in raising awareness for the survival of one of the planet’s leading modernist urban landscapes. 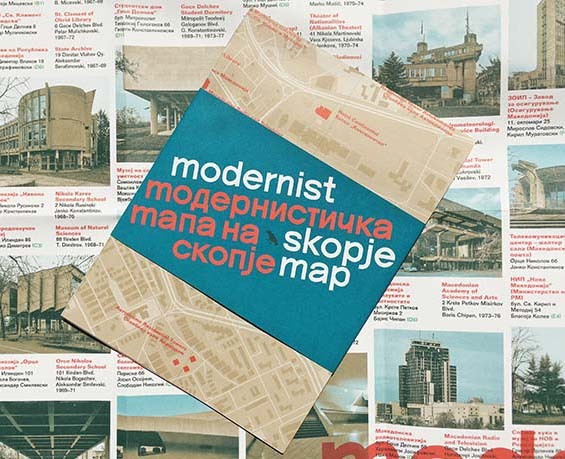 Presented as a two-sided bilingual guide, featuring a map of 50 modernist and brutalist buildings and structures, along with original photographs by Vase Amanito, the latest 20th century architecture guide by Blue Crow Media is another fine addition to their rapidly-mounting collection, and is available to buy via their online store right now.